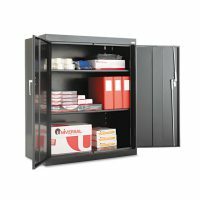 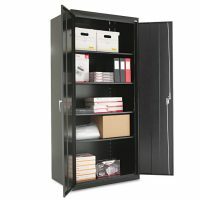 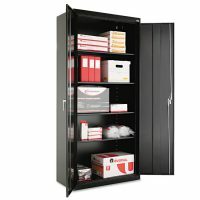 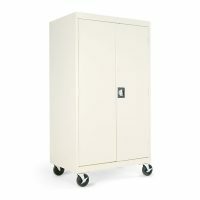 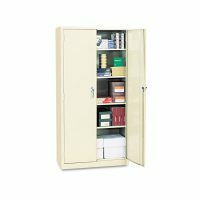 Commercial-quality cabinet is ideal for office kitchens, breakrooms, cafe areas, or anywhere you need additional storage. 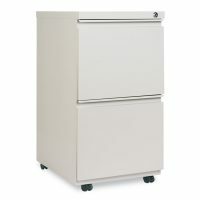 Thermofused melamine laminate cabinetry is partnered with a durable Advantage laminate countertop for good looks and easy care. 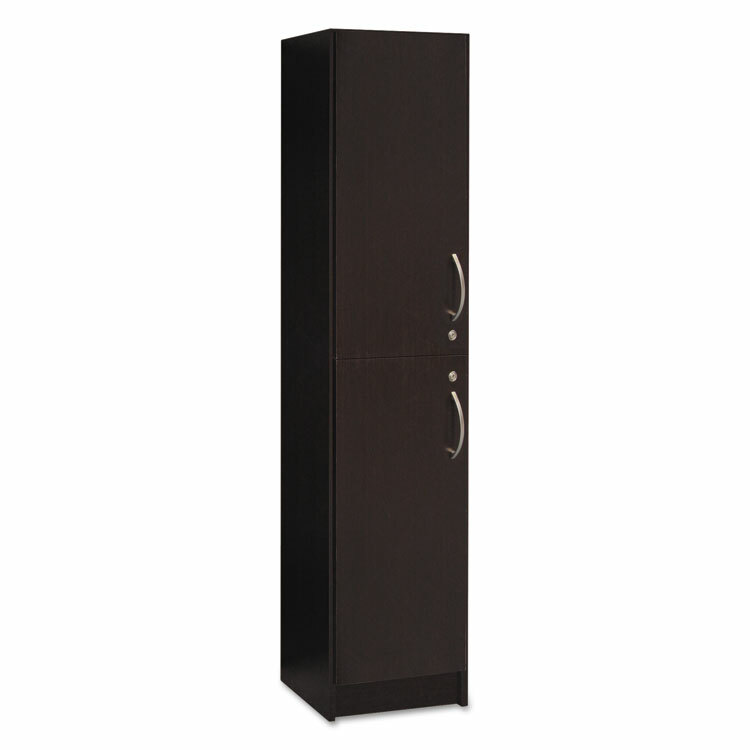 Rigid dowel pin construction and adjustable levelers for increased stability. 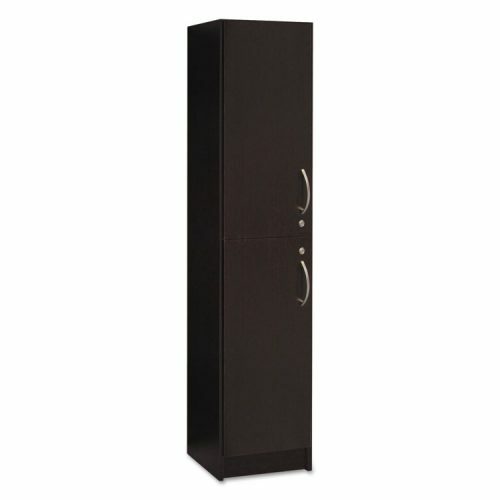 Concealed Euro-style hinge system; doors open 120° for easy access. 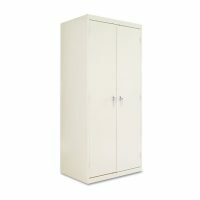 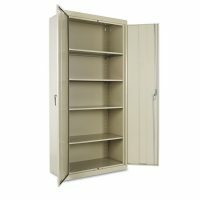 Color: Cherry; Overall Width: 14 3/4″; Overall Depth: 19 5/8″; Overall Height: 76 1/4″.